We are offering Left To Right Braille Up Writing Device with all the Braille English alphabets and useful Punctuation Marks. Our Left To Right Braille Up Writing Device is a more advanced version where one need not remember the mirror image of each of the Braille set. The Pin pointed stylus provided with it allows the reader to read in the normal left to right way by feeling the dots on the reverse sheet. 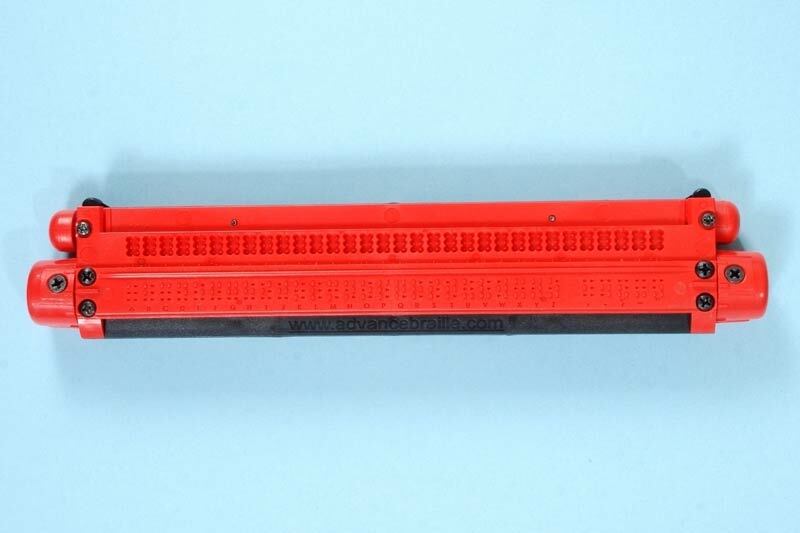 An additional aid provided with our Left To Right Braille Up Writing Device can also be used to follow the traditional right to left method inscribed in the reversed sheet. Our Left To Right Braille Up Writing Device is a perfect reading, writing and learning device for the Blind people, Braille Training teachers, Braille Learning Students, Sighted Braille Teachers and Professors.